This summer, I read Math Work Stations and sort of followed along with the book study that was going on in teacher blogland. The book was great, Debbie Diller had some sweet ideas, and I was pumped to get started. However, it didn't take long for me to figure out that stations were going to be hard to implement because of my two grade levels in one classroom. I only have 20 minutes per week with each grade level separately, so I don't really have a lot of time to teach my students the games or stations that I want to set out. Complaints aside, I know I need to do these because I don't know another way to keep my first graders engaged in meaningful work while I'm teaching the second graders, and vice versa. So last week I bought containers from Dollar Tree to house some of my newly born stations. Today I showed a few new stations to the second graders during my 20 minutes of just-second-grade-time! And I have them all thanks to amazing bloggers. In this station, the students spin a spinner 10 times and make a bar graph of the results. Then they answer a few questions about them. I found that using a paper clip as the spinner worked well for me instead of the arrow. I'll probably have to adjust this for the second graders but they loved it so far! Then, we played Boo Bump, courtesy of Denise at Sunny Days in Second Grade! They LOVED this, I can't even tell you how much. When it was time for the first graders to come back to our room, the second graders were not happy campers. My two girls who can't do P.E. right now (broken elbow and appendix surgery?) brought the whole tub to P.E. to keep themselves occupied. I have to give a shout out to Meredith for the heads-up about the Halloween erasers in the Target Dollar Spot! They complement Boo Bump perfectly because they're flat. The kids CAN NOT get enough of this game, which will hopefully be awesome for their math skills! And I just threw it this now-favorite so we could all have something to do, Cupcake Facts, which I downloaded from Alisha at The Bubbly Blonde. In this game, students match the addition problem on the cupcake top to the sum on the cupcake stump (yeah Seinfeld!). Since I don't have a color printer, I printed the super cute Halloween-themed cupcakes on colored cardstock. Unfortunately.... that makes the game a lot easier, since the pinks always get matched with the pinks. Note to self - print on the same color cardstock next time, haha! 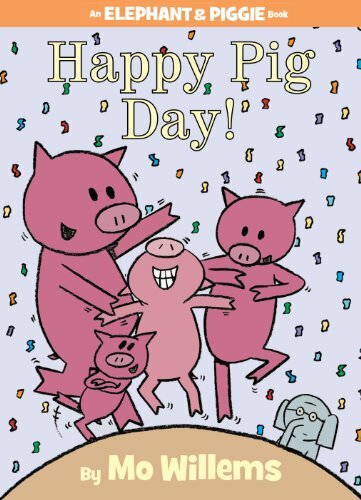 And lastly, I just wanted to give a shout out (not that he needs one...) to the amazing Mo Willems because Happy Pig Day! 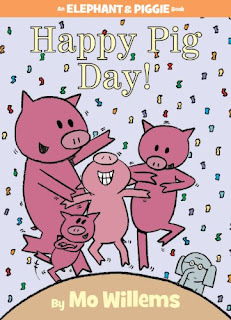 was just released into bookstores today! 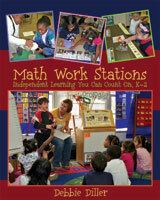 Glad to hear math work stations are up and running in your room. I had big plans to start mine 2 weeks ago, but it taken longer than other years for my kids to get in the swing of the routines/procedures in my room. Let's just say it's not an easy group. But...you've inspired me. I'm just gonna go for it next week! Looks like your work stations are a lot of fun! So happy to see the game in play! My kiddos haven't got to play the game yet since I am out due to surgery! But soon! Thanks for the shout out!